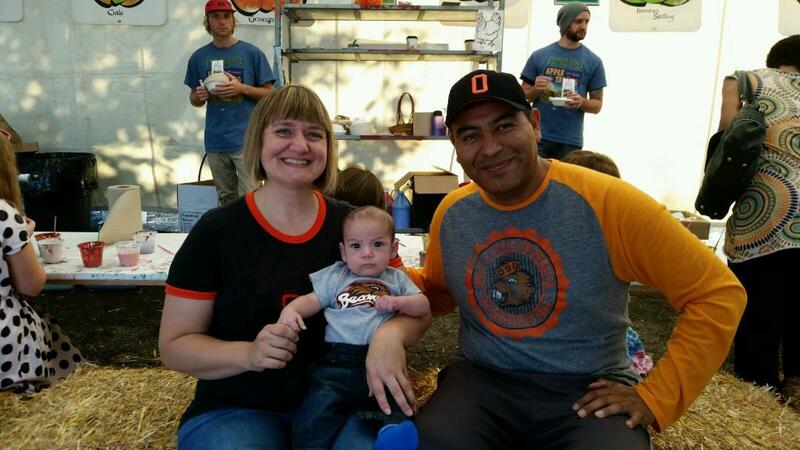 In this segment of “Meet the Pros”, I had the pleasure of chatting with Enrique Ruiz. 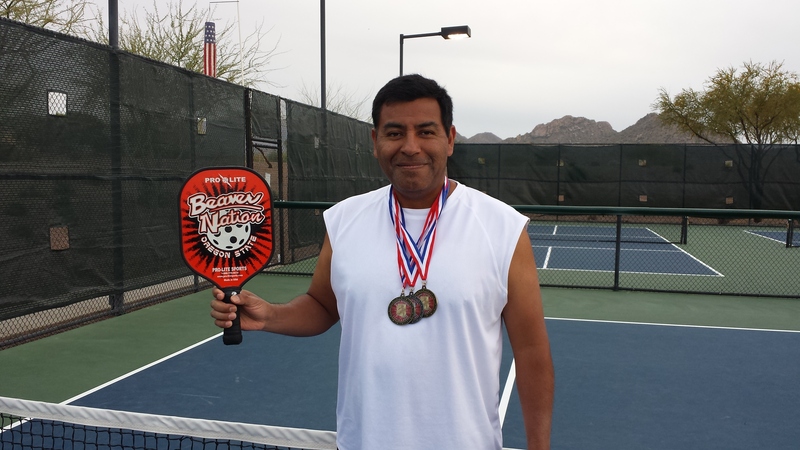 Ruiz is well-known in the pickleball community, and is passionate about this sport! To watch Enrique in action, take a look at our video page that features Enrique Ruiz at the 2012 USA Pickleball Association’s National tournament. ER: I play with a Pro-Lite Blaster. I play with it because it feels right and works for me! Also, here’s a shout out to my sponsor who has always taken good care of me and all my pickleball needs: Pro-Lite Sports! ER: I learned from the late Harry W. He first introduced me to pickleball at an Elementary school in Hillsboro, Oregon, where we learned our basics from Larry Seekins. He’s now out of Billings, Montana. ER: I am an indoors player. I only play outdoors 2 or 3 times per year at tournaments, and I do not like it. I enjoy major competition which is why I enter in these outdoor tournaments, but I do not like it! ER: I enjoy mixed doubles, singles and men’s doubles all the same. I view them as all different and I enjoy the challenge to try to figure them out. ER: My favorite place to play is indoors at my friend’s court in Hillsboro, Oregon. ER: I don’t think I have a secret sauce! However, over time, I have learned to focus on placement and control and not so much on power. I’ve been blessed with many opportunities to face the top players in this sport and for me, control has always given me better results than playing a power game. I must point out that I don’t consider myself a “pro” and nobody will ever hear me say that I’m the best. I just get lucky from time to time. However if I had to give out some advice. . . Listen to the more experienced players but only apply what fits to your playing style and ignore the rest, and always go out there respecting the game and your opponents. Lastly, I personally learn more from the close matches that I lose than from the ones that I win. This of course is how I view it and it’s simply my humble opinion. ER: I am a private contractor which allows me flexibility to travel to the biggest tournaments throughout the country. ER: I struggle to make time to play. It’s a difficult task to manage a full time job and to balance family time and the activities/hobbies that we all love. Often I don’t get to play at all but for now, if I end up playing one time per week then I am a happy camper. ER: Nope, I don’t have any. Over the years playing versus the top players in pickleball, I’ve realized that you either have it or you don’t! Luck will only take one so far. ER: My goal is to maintain my level of competitiveness while playing in fewer tournaments. With the birth of our baby, I plan to travel less and to focus more on my family. ER: I am from Portland, Oregon and am known by all my friends & partners as ” El Condor” [“The Condor”]. This well-suited nickname was given to me because of my amazing ability to switch hands, and my wingspan which allows me to cover a lot of space on the pickleball court. ER: Over the years I have been lucky enough to have played in some highly competitive matches, both winning some and losing some. However, I am extremely thankful to the Lord up above, because pickleball has brought me some lifelong friends and to me that’s priceless! Nice interview Enrique. You are a true ambassador of the game.